Maybe it's hard to tell, but there is a really cool, faded looking print of a riding-lawnmower behind all this awesome text. 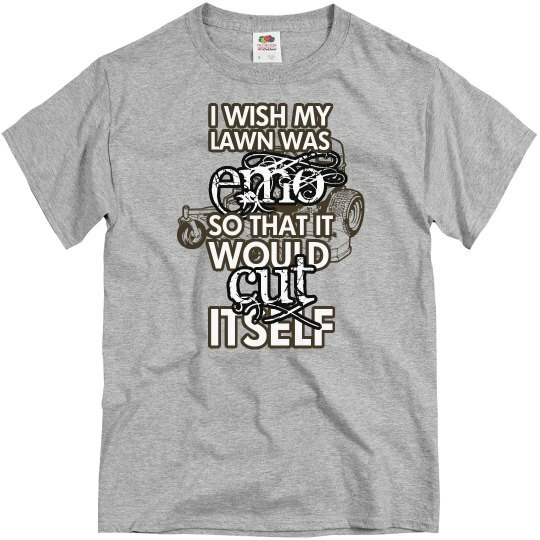 For real though, if my lawn was more emo, it would self-regulate (and by that, I mean cut itself) and then I wouldn't have to! It'd be great.